The Guimaras Manggahan Festival 2017 is finally scheduled and just in time with summer, the Province of Guimaras has also its world-class tourist spots that will surely fit your wanderlust. The floating cottage in Nueva Valencia, Guimaras was made through the efforts of Gina Lopez who then donates the cottage to the residents near it as a source of livelihood. It has been functional for over a couple years now and has benefited the association running and managing the cottage. The entrance fee is only P50 and you can jump, swim, and fill your cameras with summer wanderlust photos with the cottage. The cottage can only hold up to 50 people and as the summer is strikingly hot, it is expected that the floating cottage will be filled with tourist who wanted to see the place. So guests are expected to stay a maximum of couple of hours to give way to others, though you can stay as long as you want. You cannot sleep or stay for an overnight in the cottage and it is only open from 6AM to 6PM. Network connection is very poor in the place with any network. And the only food available are some kakanin and halo-halo which will cost you P25. No other activities can be done in the place and it is recommended that you go there via island hopping through a resort. Without your own transport service, it will be difficult for you to reach the place. Aside from the rocky road, it is also far from the town. From Jordan Wharf, ride a jeepney to Lucmayan, Nueva Valencia. From there, ride a motorcycle to the Tourism Display and Information Center of TINMAR. 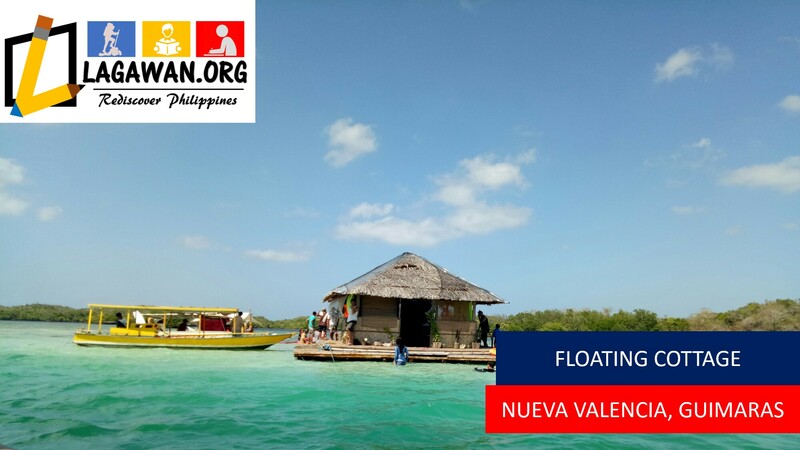 Ride a flat boat which will cost you P100/trip(good for 4person) or P150/trip(good for 10 persons). Estimated fare per trip from Jordan Wharf is minimum of P600. Other way is, from Jordan Wharf, ride a jeepney to Alibhon. From Alibhon, ride a tricycle to the Taklong Island Natural Marine Reserve. Then you can rent a boat for island hopping passing through piagao to the floating cottage. Estimated fare per trip is minimum of P1000. Bring your own food. Chips and bread may be good. Travelling alone is always expensive. Bring your friends and travel in a group of 5 or more. CAN BRING FOOD FOR LUNCH?? ?